I am no stranger to Heathrow Airport. In fact, I am a so-called ‘Heathrower‘ and more specifically a ‘T-Fiver‘ and I may even be a little bit in love with this airport. Why? Because it is my home airport – the starting and ending point of 98% of my travel adventures. 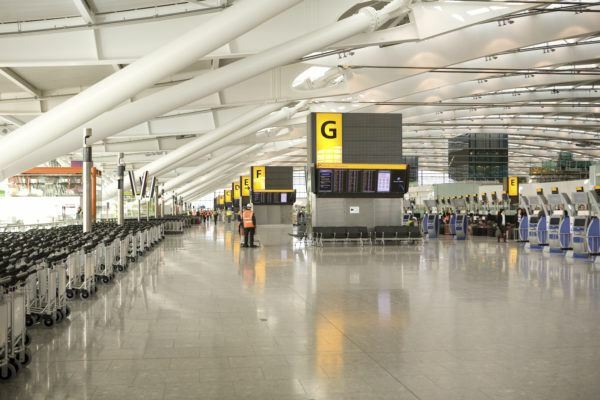 I am obviously biased because of location – Heathrow Airport is located a mere 35 minutes away from where we live, but I measure all my airport experiences against my normal Terminal 5 (the home of British Airways) experience – which is pretty good. For me, it is a stress-free experience – I love the light and airy feel of the airport, the silence and its slick decor. And the now much improved fast track security experience (10 people go in at each time at T5 South, for example, which means that the belt has 5 entry points and you don’t get behind a very slow traveller). Or the 90% touch-free restroom facilities – where the stalls are wide and let you take your luggage with you and you pretty much don’t touch anything – from the flush, to the taps. Oh, and they are always spotless and smell good too. And let’s not talk about the shopping for now (or the excellent champagne selection, which we buy when we depart on a EU flight and it is ready for us to collect when we land. And with Vintage Taittinger at £46 a bottle, I can’t ask for more). And I don’t – just don’t make me go to Gatwick, which I know is getting better, but in my opinion still has ‘too many feet on display, not enough pedicures’. I can be a little bit mean sometimes – it is my blog, after all. 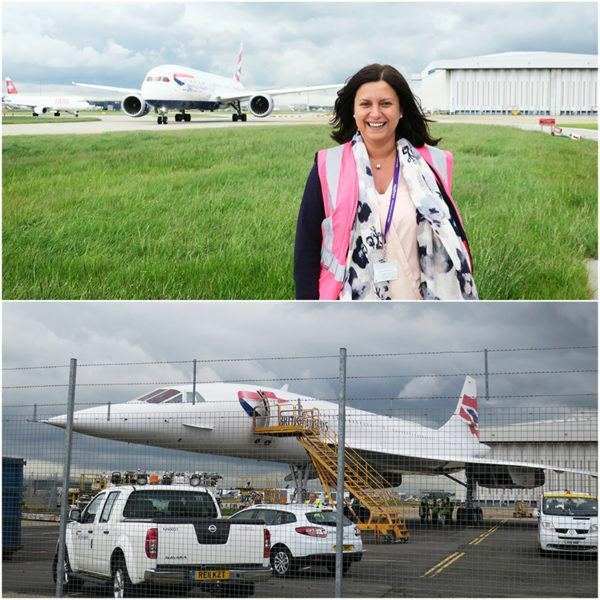 So when Heathrow’s team invited your truly and a select few others for a day behind the scenes, offering a little taste of what will be shown on the upcoming ITV’s documentary series titled ‘Heathrow: Britain’s Busiest Airport (series 2), I really could not resist. And worry not, true to my word where I never showcase anything on the blog which a reader cannot replicate (because what would the point be? ), some lucky people will have the chance to go behind the scenes as well. More on that later! We started our stay at the Animal Reception Centre, where 200 million (!!!) creatures travel through each year. 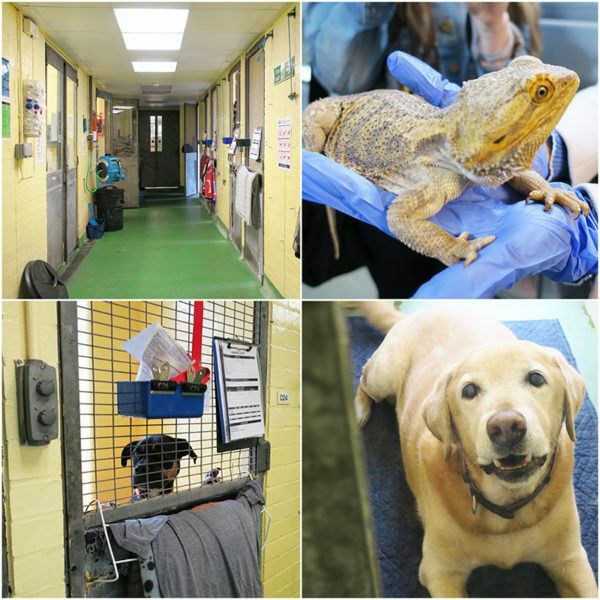 Not all are cats and dogs – we are talking horses, zoo transfers, everything. I was a bit sad when I heard that George Clooney had been round 2 days before me to pick up his dogs – 2 days. Can you imagine if I had better timing? One thing I found interesting was that if you travel from certain countries (EU and a few more), your cats and dogs, provided they have all the necessary documentation, only stay for 1 hour. Others stay for 4 hours only. Only those coming from select locations are in fact quarantined. From here, we made our way to somewhere I was really really looking forward to visit: Heathrow’s VIP Terminal, which is actually located inside a very discreet area of Terminal 5 (obviously not accessible via the normal ‘passenger drop-off’ road. With your own entrance, lounge, security and car transfer to your plane, it is the choice of quite a few passengers who want to bypass the airport terminal. Worried about missing out on the shopping? It will come to you, as will Tax Refund, Customs and Immigration. You get off your private car (pick-up service is included of course) and are welcomed by a hotel-style porter, who is obviously expecting you (for the record, you obviously need to pre-book this service) and greets you by name. Your luggage is taken from you by a hotel-style bellman and you never see it again. You just make your way to your private lounge and the rest comes to you. 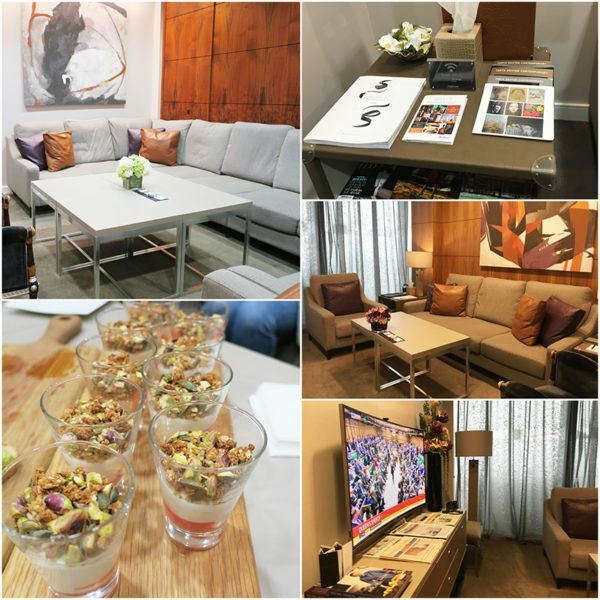 Whilst in your private lounge, you have access to a menu where you can pick anything you’d like and your own butler will bring it to you. My only negative remark was when I asked which champagne was served and was told Bollinger and Taittinger. I asked if Vintage, but the answer was Brut. I believe that for £2,750 + VAT for 3 people, vintage champagne should really be included. BA serves you Vintage Taittinger in its First and Concord Room Lounges – for ‘the people’ (like me), so in all I think this could be an improvement to be made (as well as first class branded toiletries – also a good opportunity for product placement, says the marketer in me). Security was a dream – the Heathrow VIP team makes sure you don’t clash with other passengers, so it will be just you. We went through it, so we were then ‘airside’ and continued our journey to the new Terminal 2, where we went for lunch. For the record, the first 3 passengers cost £2750 + VAT, but the next 3 are only £750 + VAT. If you do the math, it is interesting for a group of friends. 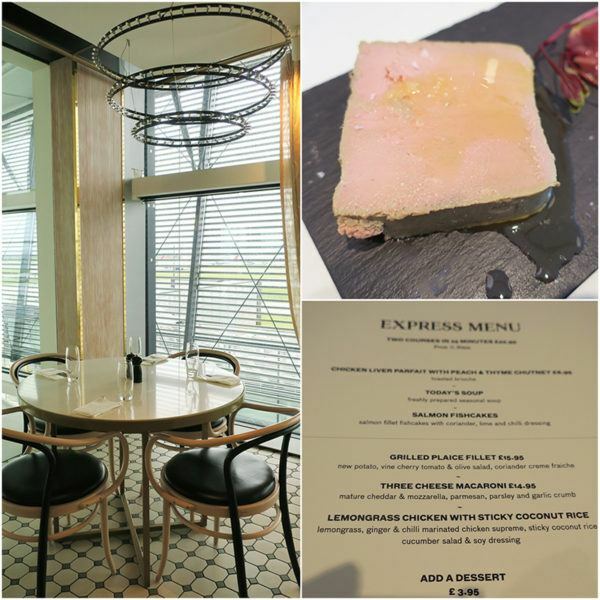 I was curious about The Gorgeous Kitchen, located at Heathrow’s Terminal 2, which has recently been named as the best airport restaurant in the world (not sure by whom), and if I wanted to be generous, I would say it was OK. They have a 25 minute menu which took over 50 minutes and the food, although nice, wasn’t warm at all. 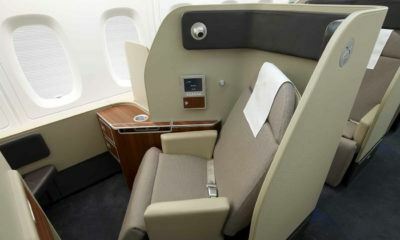 Nevertheless, you really are spoiled for choice at Heathrow – there is something for everyone and every budget. If you don’t have lounge access (BA for example makes the best egg and bacon sandwich in the world for breakfast – in my humble opinion, and a pretty decent burger too, at its First Lounge), there really are lots of options – from Heston Blumenthal, to Gordon Ramsay, to Caviar House & Prunier… and lots of high street names of course. 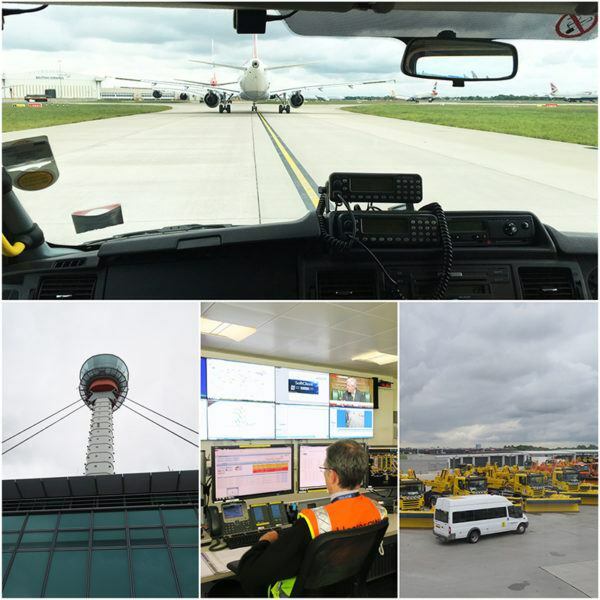 We were running late – so we got on our mini bus and spent the rest of the afternoon with Simon Newbold, Airside Operations Training Manager, who was not only a character (very funny, super knowledgeable) but you kind of know why he works at an airport. He loves running things like clockwork – like it should! The next couple of hours were really special – we really went as close to the action as possible and saw things we don’t get to everyday. The Concorde was one of them – and I hope one day I get to go inside it. I am just curious! As we were close to 3pm, we witnessed something quite interesting – a runway swap. Heathrow has 2 runways (and hoping for a third one soonish), and until 3pm (bear with me, I do not speak plane) one is used for taking off and another for landing. At 3pm, they swap over, to give local residents a bit of a break. We stood by the runway and tried to understand how the magic happens. There are take offs and landings every 45 seconds, and the idea is to get a small plane followed by a big plane, which means some time savings can be made. I absolutely stand to be corrected here (and anywhere else!) as I am not 100% sure of what I am saying. We visited the operations centre – this team’s mission is to make sure that everything at the airport is working. Its teams remove items from runways, make sure there are no birds around and are ready for any emergency. Our next stop: a brand new British Airways Dreamliner (B787), which had arrived from Hyderabad in India and was being cleaned and ready for departure. We were escorted by a BA First Officer and were allowed into the cockpit which is something I had not experienced (for obvious reasons) since I was like 15 years old. I did ask for his cap (he thought I was joking and I was like ‘Not joking at all’). I felt like a child (and a very happy one at that) and also enjoyed exploring the First cabin. 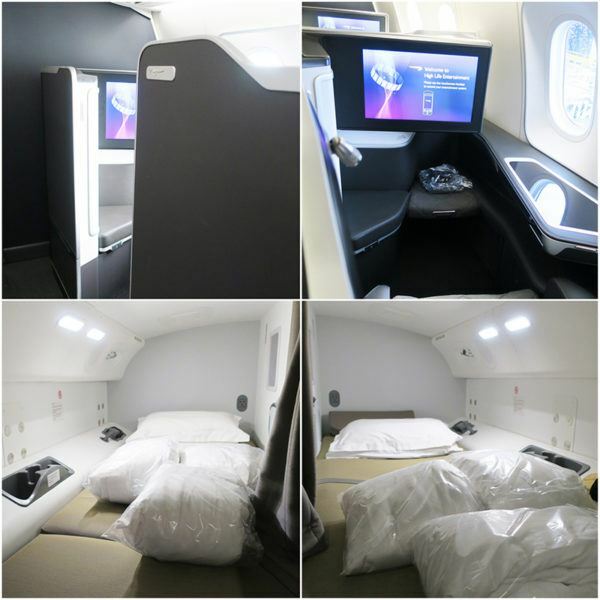 I have flown on BA’s Dreamliner to Kuala Lumpur earlier this year, but it was in Business Class, so obviously I had not had the chance to snoop around the first cabin which has a new design – and feels more like a suite than the previous generation of BA First. First Officer O’Reilly. Where should we go? The cleaning crew was turning the airplane around and we were quite shocked to hear that – get ready for this – 12 seats were soiled (read: with pee), of which 2 had a bonus (read: poo). I honestly could not believe that this could happen unless it was an accident but apparently, it happens ALL the time. 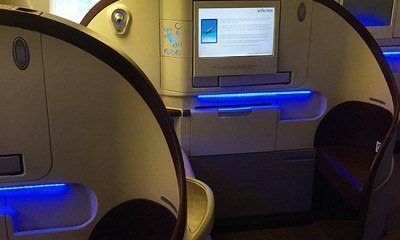 I actually felt very sorry – and then asked some people in this industry who told me that indeed this happens (some destinations more than others) and the seat cushions have to be replaced and sometimes the plane has to even go into maintenance). Imagine the cost and delays this causes. Some people really are animals. 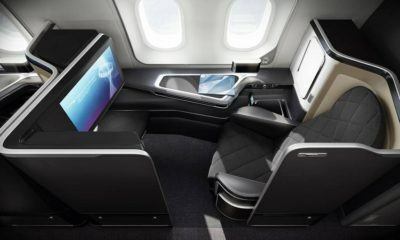 The BA Dreamliner First Cabin and the Pilots’ secret room. And to finish off the day in a very special way, we made our way to the Air Traffic Control Tower (full disclosure: I had never ever noticed where it was located on my 3456754 trips to Heathrow Airport). We couldn’t actually go to the room itself – too disruptive, but we went almost all the way up and got a great view of the surroundings of Heathrow – from Windsor Castle to London. I also particularly enjoyed looking at the terminals from the top and understanding how the airport is changing. 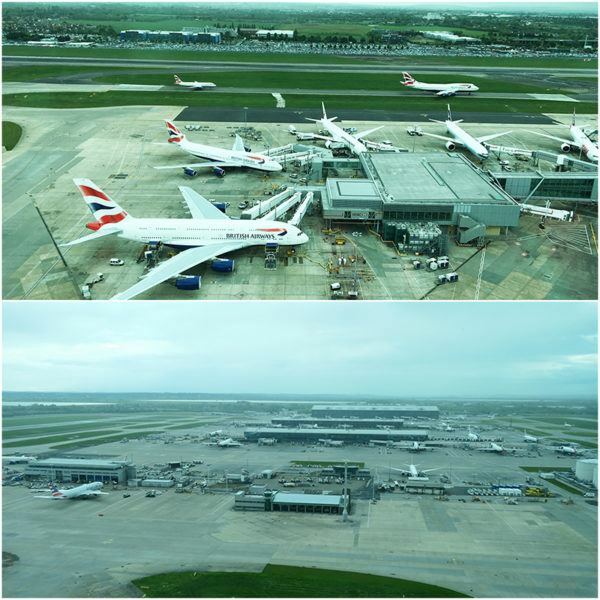 If you look at the photo below, you will see Terminal 3 (which is first generation compared to today), and how the planes are parked in a cul-de-sac, which means that if one plane is manoeuvring, others cannot move. The current airport design (which you can experience on Terminals 2 and 5), are rectangular buildings, connected by a train, which allow for much easier movement of the aircrafts. The things you learn, huh? Terminal 3 (old style) and Terminal 5 (new style). And look at the differences of the sizes of the planes. And if you look at the runway, you will see the big plane followed by the baby plane. 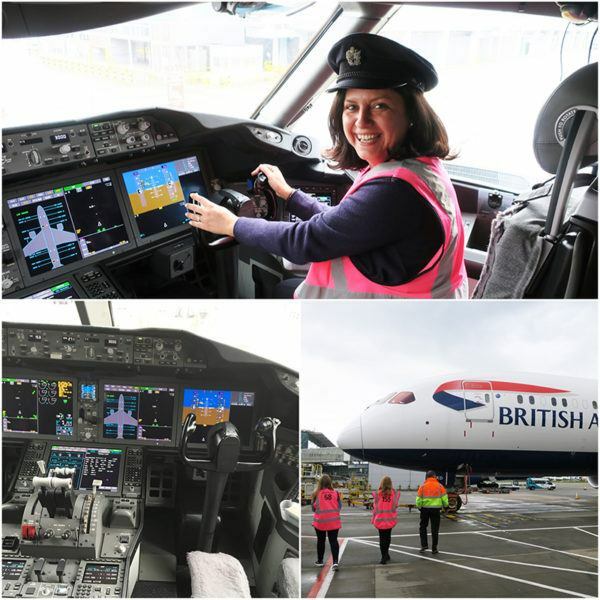 I really enjoyed my behind the scenes day at London Heathrow Airport – I felt I could come back the next day and be taken around some more. It really is fascinating! If you are curious about how Britain’s busiest airport operates, look out for the new ITV1 3-part series, which premieres on May 30th 2016 at 9pm, titled: ‘Heathrow: Britain’s Busiest Airport’. Follow #britainsbusiestairport live on Twitter for the latest. To find out more about this series, visit the Your Heathrow website, which will include profiles of the people featured, airlines and aircraft facts and figures and two big competitions. One of them will be the #votemeairside which will give you the opportunity to win your airside tour of Heathrow Airport. And until the next adventure! Disclaimer: this post was sponsored by Heathrow Airport and opinions and thoughts are my own. Thank you. Flying through LHR again on 6/13 and starting to dread it already. 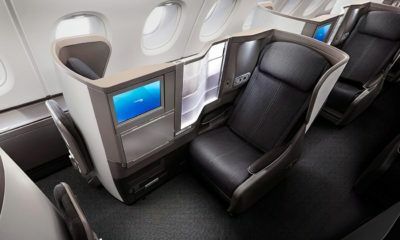 Using up the last of my Avios and BA Visa free companion ticket then done with BA. Hope you have a good flight! 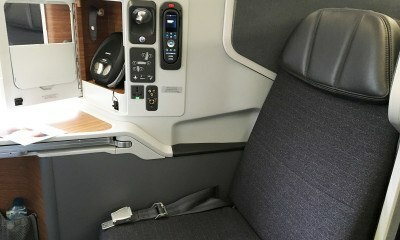 If you are handicap and need wheelchair assistance it is a much different experience getting through Heathrow particularly if you are changing flights. I have always flown business class but have never been to a lounge at Heathrow because they leav you stand at the plan forever waiting for the chair to arrive and then when it does you are only brought down to this holding area where they treat you like a scenile person in a very bad nursing home facility and refuse to take you to you hate until you are about to miss the flight. I have complained to British Airways several times and they just tell you to complain to some else as the airport, not the airline is responsible for handicap assistance. So while you may have this enchanting experience as part of your fairytale life, average people with bad knees that can’t walk miles (which you must do to change plains at LHR) should avoid this airport at all costs. That is a shame to hear and I will definitely pass on this feedback to the airport and they should also set the standard for special assistance. I am sorry your experience is subpar. There are no excuses. Wow! I’ve only been through Heathrow a few times, but loved the efficiency. And The Gorgeous Kitchen sounds divine! Love this, Ana! I am such a geek for operations of things I am clueless about – hopefully I will do a behind the scenes tour like this sometime. But, my favorite part is your big smile while in the cockpit – genuine and most happy indeed! Ahhh…I was sad to miss this, I’m really interested in what goes on behind the scenes! What a fascinating experience. Thank you for sharing, I will definitely be watching the programme on TV. I was fortunate enough to walk through the cabin of a Concorde at the museum of flight in Seattle – would really recommend it as you can view many planes from different generations. Oh, one more reason to visit Seattle! Thank you!! I love everything about this story-the dogs, the VIP terminal, you as pilot. This is just adorable and fabulous. Thank you! It really was a fun experience!